The annual Bali Art Festival is a celebration of local culture and cuisine. It is a month-long event featuring handicraft exhibitions and daily performances of dance, music and drama from around the island. The festival takes place every June to July at the Art Centre in Denpasar. Visitors can experience the very best of Bali’s creative heritage in one location. Every year the Nusa Dua Fiesta starts with a colourful parade of elaborate costumes and displays of creativity staged by hotels and resorts in the area. This community event runs for a week with uplifting activities, sporting competitions, exhibits, food stalls and live performances. It is held at the Peninsular Island in the secured tourism enclave of Nusa Dua. Pandawa Beach was once a secret location hidden by a towering limestone cliff. A road access now reveals a pristine stretch of white sand beach overlooking the waters of the Indian Ocean. This coastal attraction is named after a collection of stone statues depicting heroic characters from the legendary Hindu epic known as Mahabharata. Uluwatu Temple is perched on top of a limestone cliff on Bali's southernmost peninsular. It is a sacred site of worship for followers of the Hindu faith and home to a cheeky clan of monkeys. 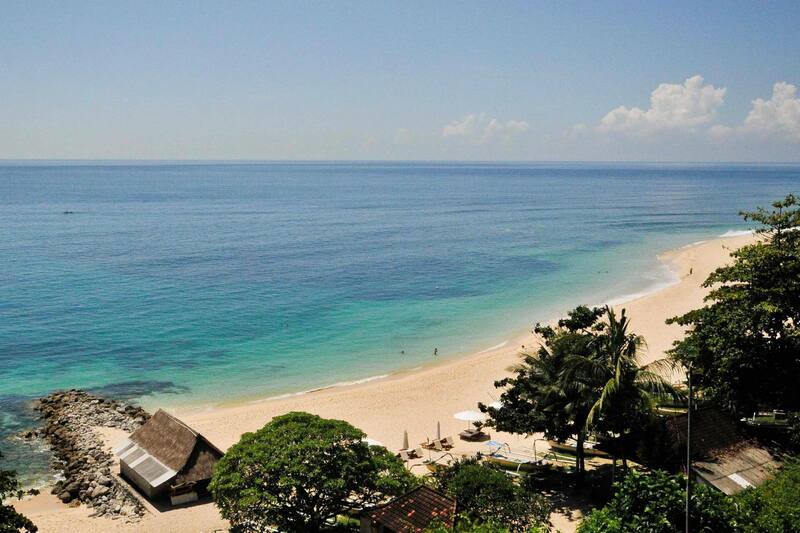 Mengiat Beach promises a relaxing day out on Bali's southern coast. This family-friendly beach is the perfect combination of sun, sea and sand. Bali Collection is an exclusive lifestyle and entertainment complex located within the Nusa Dua tourism enclave. It features a comprehensive selection of restaurants, cafes and branded retail outlets in a charming outdoor setting.